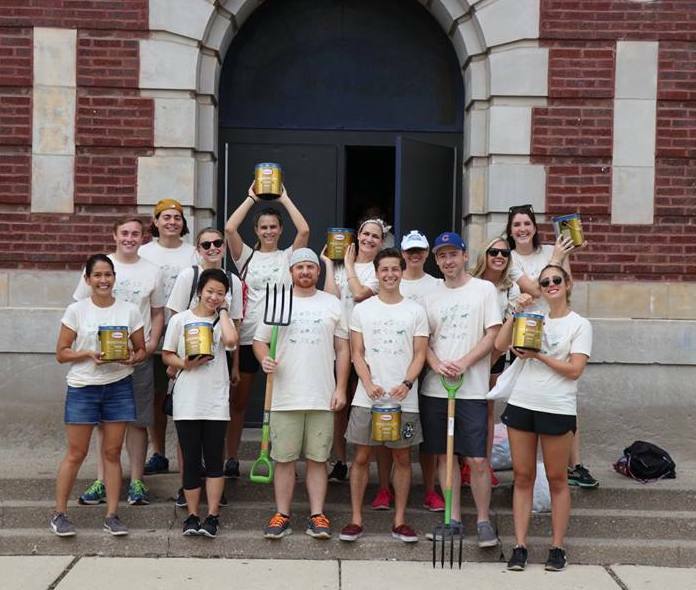 DigitasLBi Chicago closed its doors on July 27th while 375 employees participated in the agency’s annual volunteer day to transform the Piccolo School of Excellence in the West Humboldt Park neighborhood for the upcoming academic year. The Piccolo School of Excellence is a Pre-K through 8th grade school that has a strong focus on promoting higher education and career readiness by encouraging students to be their personal best and preparing them for college and beyond. Last year, the school exceeded its goal of having more than 75% of students projected to attend a level one high school during the next upcoming school year. In addition to offering students a strong academic experience, Piccolo also provides opportunities to participate in extracurricular enhancement programs including fine arts, performing arts, and athletics. Restoration efforts this year included making the third floor of the building safe for students. The Piccolo School of Excellence had not used its third floor in six years, but thanks to the volunteers who removed lockers and garbage while others repainted classrooms and community rooms, the third floor is now safe for students. The school's staff can now petition the Chicago School District for additional money to add air conditioning, redo the bathrooms, and make other changes to that floor. Throughout the school, members of the DigitasLBi art department designed and painted murals. Others worked outside refurbishing garden boxes, sealing picnic benches, installing ground games, and repainting metal fences. This is the fourth time that DigitasLBi Chicago talent has devoted a full day to revitalizing a Chicago public school. DigitasLBi Chicago has revamped James Otis Elementary in the West Town neighborhood, the Lawndale Community Academy in North Lawndale and the Lowell Elementary School in Humboldt Park.